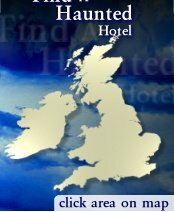 If you believe that your hotel is haunted and would like to promote it to a wider potential customer base then hauntedhotelguide.com is exactly what you need. For just the price of one couple's average stay you can have a full 12-month membership to our premier Haunted Hotel listing. Plus if you sign up on line you will qualify for a 10% discount. Downloadable forms are in PDF format click here if you require Acrobat Reader. Click the button below to register with us online. If you wish to download our application form please download sections 1 and part 2 of the form and then send the form and a cheque made payable to The Haunted Hotel Guide, to the address stated on the bottom of the application form.